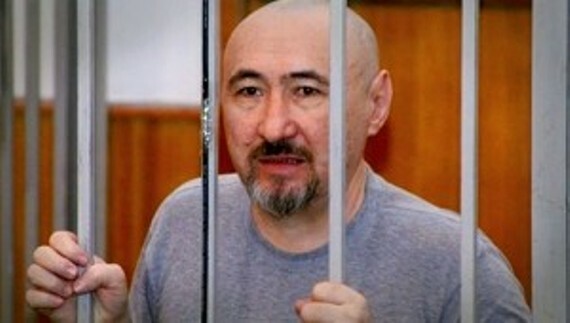 PEN International believes that the imprisoned Kazakh poet Aron Atabek is being held in a detention centre in Karagandy, and that he has been moved there in order to attend the first hearing of his appeal against the two-year solitary confinement sentence that he received in November 2012. In 2012, the poet was convicted of breaking prison rules following the online publication of his book, The Heart of Eurasia, and was sent to a solitary confinement cell in Arkalyk Prison – one of Kazakhstan’s toughest jails. The Heart of Eurasia is highly critical of the Kazakh government in general, and of President Nursultan Nazarbayev in particular. Aron Atabek was moved out of Arkalyk Prison on 5 October 2013. His family received no notice of the move from the Kazakh authorities, and Atabek – in a direct violation of the UN’s Standard Minimum Rules on the Treatment of Prisoners – was not permitted to notify his family of the transfer. Atabek is currently ‘between prisons’. He is being held in a Karagandy detention centre with other prisoners who have been charged (but not convicted), or who are waiting for their own appeal processes to begin. Atabek is appealing for his two-year solitary confinement sentence (almost one year of which has already been served) to be quashed. If successful, he will be moved back into the general prison system. No date has been set for the first hearing of his appeal process. 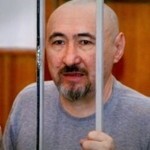 Despite numerous attempts by Atabek’s son to find out the exact location of his father, the Penal System Committee of the Ministry of Internal Affairs has repeatedly refused to confirm or deny Atabek’s presence in the Karagandy penal system. Atabek’s family has not known the poet’s exact location since early October. They have still not received official notification of his whereabouts. Although conditions in the Karagandy penal system are reportedly not as harsh as those in Arkalyk, it seems highly likely that the Kazakh authorities are continuing to deny Atabek access to telephone calls to his family. Write to the Minister of Internal Affairs, urging him to immediately confirm Atabek’s whereabouts to his family. Demand that Atabek be allowed regular communication with his family. Raise Aron Atabek’s case with your country’s ambassador to Kazakhstan.